The sales-to-list price ratio on non-distressed properties was 98.3 percent in July 2016, based on a three-month moving average. The average price of non-distressed properties sold in July was $300,900, up 3.7 percent compared with July 2015. Non-distressed properties sold during July received an average of 2.3 offers, and the average time on market for non-distressed properties sold during the month was 6.8 weeks. 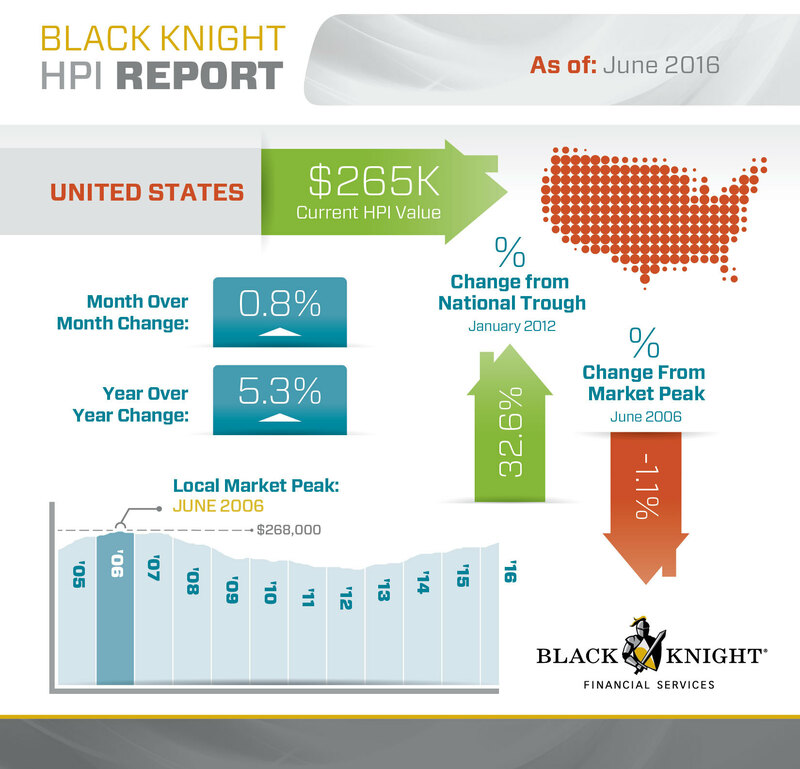 The RHPI decreased slightly in June 2016, falling 0.2 percent compared to May 2016 and -0.1 percent compared to June 2015. House prices have changed by a negative 38.5 percent since their pre-recession peak. Real house prices are 17.3 percent lower than they were in 2000.